The full article appears on Watkins Mind Body Spirit Issue 24. 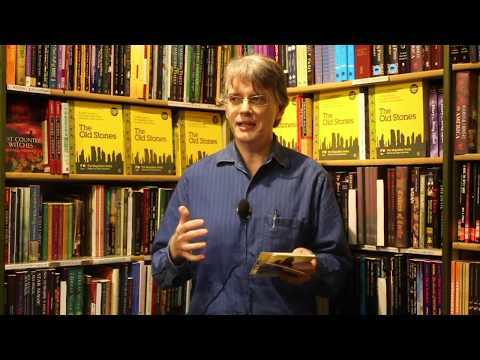 The Book of One is a comprehensive and accessible introduction to Advaita or non-duality. Advaita has a guru-disciple tradition stretching back several thousand years and can guarantee the sincere seeker a progressive path to self-realization. 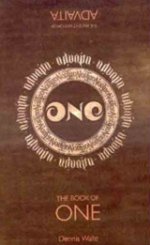 In this extensively revised and updated second edition, Waite presents a 21st Century treatment of this ancient non-dual philosophy, addressing the issues that are covered by both traditional teachers from the lineage of Shankara and by modern ‘satsang teaching’ and Direct Path methods stemming from Ramana Maharshi and Krishna Menon. The difference between the two approaches is that the traditional one is self-consistent, whereas the neo-advaitin one is not. Neo-advaita is actually hypocritical in a sense, because it denies the existence of a ‘person’ yet still utilizes the medium of a dialog with one. Traditional Advaita positively acknowledges the person at the level at which the discussion takes place. Only the traditional view is valid because the person firmly believes that he or she does exist no matter what anyone says to the contrary. Education has to begin from this starting point. The difference between the two approaches is that the traditional one is self-consistent, whereas the neo-advaitin one is not. Neo-advaita is actually hypocritical in a sense, because it denies the existence of a ‘person’ yet still utilizes the medium of a dialog with one. Traditional Advaita positively acknowledges the person at the level at which the discussion takes place. Swami Paramarthananda tells one of the Mullah Nasrudin stories to illustrate our ignorance. The Mullah, on his travels, reached a village late at night and, passing a well, looked down into it. And he saw the moon. Jumping to the conclusion that the moon must have fallen down the well, he rushed to find a rope and hook so that he could pull it out. After many unsuccessful attempts, the hook finally caught and he began to pull with all his strength. What had happened, of course, was that the hook had lodged under a heavy rock but he firmly believed that he was now rescuing the moon. Unfortunately, the rock was too heavy for the rope and, after a final tremendous pull, the rope snapped and the Mullah fell back onto the ground from where, looking up, he saw the moon now resting back in its usual place! 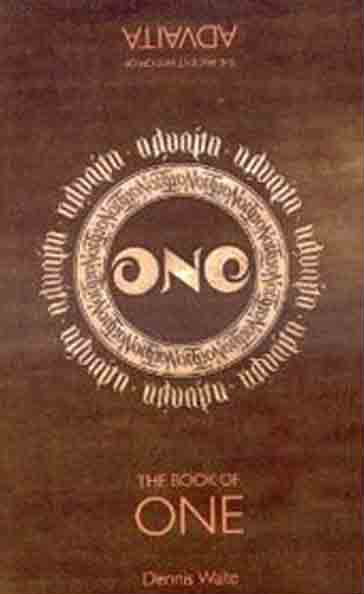 THE BOOK OF ONE: The Ancient Wisdom of Advaita by Dennis Waite, published by O Books, Paperback (440 pages). This, says Swami Paramarthananda, is a metaphor for the process of enlightenment. We believe that we are limited and struggle through years of sAdhana (spiritual practice) until finally, when the rope finally breaks, we ‘attain’ mokSha (enlightenment). So was all the effort really necessary, when we always have been the non-dual Self? The neo-Advaitins insist that no effort is required. Enlightenment is of the mind, the self-knowledge that destroys the self-ignorance takes place in the mind. There is no frustration at all when advaita is taught correctly. On the contrary, it is a joyful process in which aspects that caused confusion are replaced by clarity. It is also the person that seeks enlightenment and the person that finds it, even though the ‘finding’ also includes the realization that there never was a ‘person’ in reality. Meet the Author: Dennis Waite has been a student of Advaita for over 25 years and maintains one of the most visited and respected websites on the subject: www.advaita.org.uk. He is author of many books, including Sanskrit for Seekers, The Dreamer Who Dreams You and Advaita made easy. He lives in Bournemouth, England.